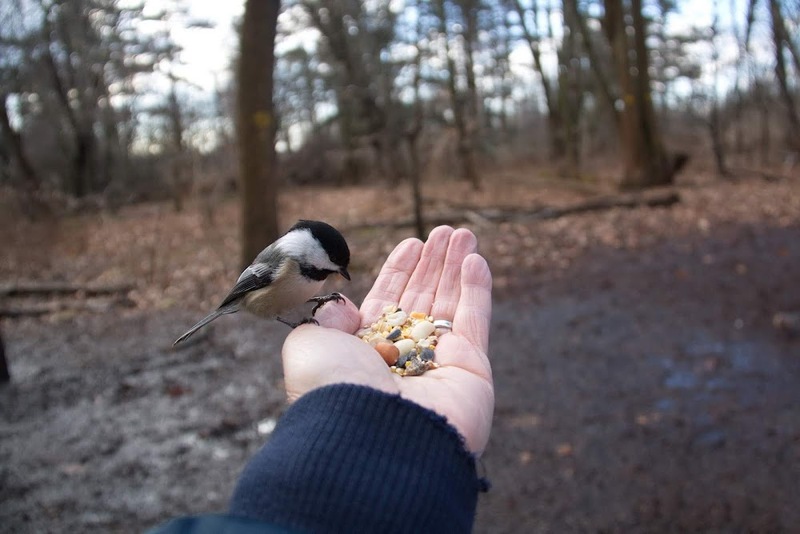 My hand with a friendly Chickadee. Never miss an opportunity for free food in the wild. Lovely cute bird Andy. A bird in the hand is worth more than two in the mind. Great photo. That is one trusting or very hungry chickadee. Wow...Wonderful capture of the scene ! How long didd you stand there? Sweet! I'm guessing he went for the small stuff. Amazing photo, love it. Birdy did not mentioned the "click" of the camera?